The winners of the eleventh annual Mark Ain Business Model Competition have been named. In unprecedented circumstances, two teams tied for first place and will split the first and second place cash prizes (totaling $7,500 each) and each will be offered space in the University of Rochester Student Incubator at High Tech Rochester. 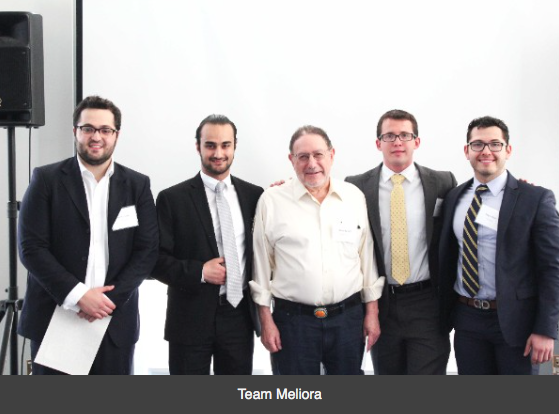 First place winner Team Meliora plans to rebuild the lives of refugees by providing them with durable, affordable, and beautifully-designed homes made from post-consumer recycled plastic. The group is comprised of four undergraduate students, one of which is a BME student, Omar Soufan. The other students are Edgar Alaniz ’17, Carlos Yuki Gonzalez ’17, and Ibrahim Mohammad ’17. 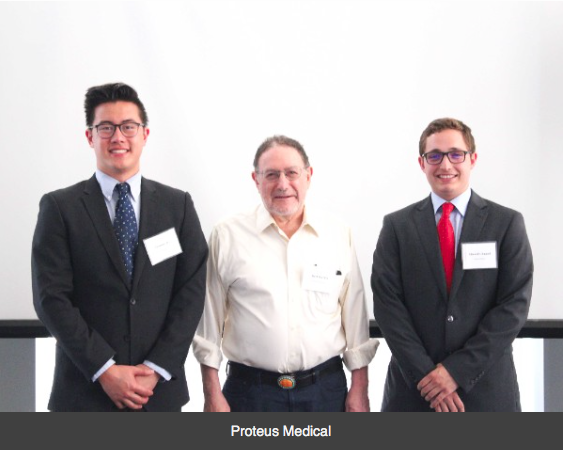 Also in first place, Proteus Medical developed a novel endoscopic foreign body retrieval device for the veterinary space. The team, comprised of three BME students – Connor J. McBride, Edward F. Ruppel ’17, and Chandler W. Woo ’17 – are proud that their tool increases performance at a reduced cost. Judges of the finalists were Mark S. Ain ’67S (MBA) of Kronos Incorporated; John Bruning, retired CEO of Corning Tropel Corporation; Arunas Chesonis ‘91S (MBA) of Sweetwater Energy; and Debora LaBudde ’92, ‘93S (MBA) of MEMO.